With a new series of Strictly Come Dancing on our screens, we’ve taken an in-depth look at the original tango craze of 1913. “Everybody’s doing the Tango, learning the Tango, talking the Tango or watching the Tango. Never, perhaps, has a dance become of such universal interest so quickly…” Thus opined The Sketch in November 1913, reflecting upon the incredible international popularity of ‘tango tea’ dance fever. The craze for the Argentine tango in its latest incarnation began in Paris in 1912 as the thé dansant, so named from the practice of taking tea as a refresher between dances. The tango tea was rapturously embraced by Parisians of all classes, causing the caricaturist Sem to re-christen the capital ‘Tangoville’, and it wasn’t long before the trend had swept across Europe and beyond. It’s difficult to over emphasize how enormously popular the tango tea had become by 1913. The prodigious coverage on all aspects of the craze in the illustrated magazines in our archive reveals a world in the throes of tangomania. Whether it was tango teas held at fashionable hotels, the latest steps explained or mocked, reviews of tango ‘exhibitions’ at the theatre or novelties such as tango dancing on roller skates, the tango was everywhere. 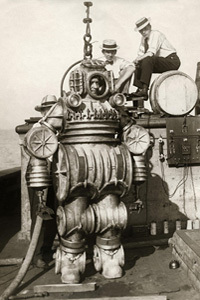 Manufacturers embraced any opportunity, however tenuous, to ally their products to any aspect of the lucrative craze. Tango-legend has it that one enterprising dressmaker found himself with a glut of orange fabric, and taking advantage of the mania, re-named the colour “tango”, making it an instant hit. Adverts in the press plugged tango lessons, gramophone records and sheet music –and even tango boot polish. However, the craze brought much more to the world than just a great merchandising opportunity: it also brought liberation. The new ‘tango’ corsets that offered increased flexibility, and skirts and even trousers that left feet clear for dancing, were designed to give women the freedom of movement required for dancing the tango properly. The physical liberation offered by the tango dress was a stark contrast to the constriction of the fashionable ‘hobble’ skirt, a big trend of 1910. Though women’s liberation would take more drastic forms in 1913 (in the same year, imprisoned suffragettes went on hunger strike, and Emily Davison threw herself under the king’s horse at Epsom Derby), the subtle changes wrought by the tango echo those elsewhere in society at that time. Everyone may have been talking about the tango, but it wasn’t all praise. Boycotted by some religious groups, the tango’s enemies saw not liberation, but moral degeneration. 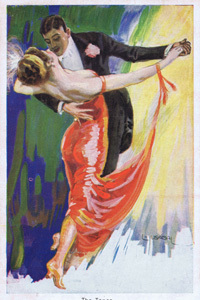 Unlike the more traditional dances of the period, the tango hold was an intimate embrace, which was perceived by some to have a corrupting influence. For an “unnamed peeress”, who wrote to The Times in disgust in May 1913, the dance was full of “scandalous travesties”. The Illustrated London News cheerfully combined extracts of this letter with a retrospective on the polka, a dance which was also greeted with disgust in 1844, but went on to be widely adopted, and by 1913 was regarded as thoroughly tame. As 1914 progressed, the passionate fervour for all-things-tango had begun to cool. Even before the First World War had begun, the dazzling magnesium flash of the tango tea had, almost as suddenly as it had burst onto the scene in Paris, burnt out. It was to survive, albeit in a different incarnation, to dance another day. If you’re passing through Bexley on the south-eastern fringes of London, then try to find time to seek out Hall Place, a Tudor hidden gem with extensive gardens a couple of minutes from the A2. 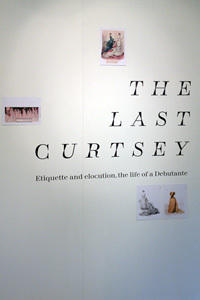 We’ve had connections with Hall Place for some time through Bexley Heritage Trust, whose archive we represent, but more recently we’ve collaborated with them on a new exhibition that opened just a fortnight ago, The Last Curtsey. Inspired by one of Hall Place’s 20th century inhabitants, socialite Baba D’Erlanger, the exhibition aims to recreate the vanished world of that upper class phenomenon, the debutante. Debutantes are something of a specialist subject here at the library. 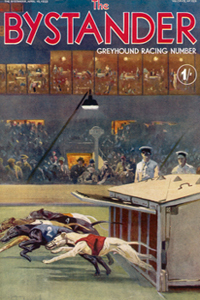 The magazines of the ILN archive, specifically The Tatler, The Sketch and The Bystander, were the bibles of the beau monde and consequently are filled each spring with every conceivable highlight of the ‘Season’ from the Royal Academy and Fourth of June to Ascot and Henley. Alongside these delights were published photographs of the annual crop of ‘debs’ that were to be launched into society together with adverts for court gowns, hair stylists, West End couture houses and catering companies. Source material doesn’t get much better. And we have form in terms of writing on the subject. Some forty years ago, Mary and Hilary Evans were authors of ‘The Party That Lasted 100 Days’, a highly illustrated and wry look at the late Victorian season and more recently, in 2013 I wrote a concise history in, ‘Debutantes & the London Season’ for Shire Books. The London Season, vestiges of which remain in some of today’s summer sporting and social fixtures, was the dominant feature of the social calendar, a three-month bonanza of events and parties during which the daughters of the upper classes made their ‘debuts’. The girls and their families descended on the capital from country piles all around Britain to take part in an elaborate and protracted marathon of social interaction that culminated in them being presented at court where they would make their carefully-practised curtsey in front of the King and Queen. Today, it’s a ritual that seems terribly archaic, and at times rather comic; an outmoded phenomenon that pandered to rigid class distinctions and judged the youthful participants purely on looks and breeding. 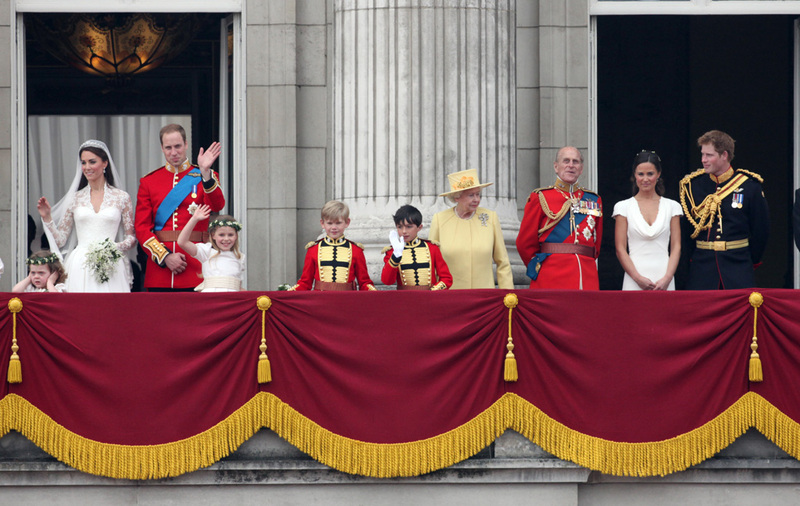 And yet, it is also rather glamorous, romantic – and terribly British. 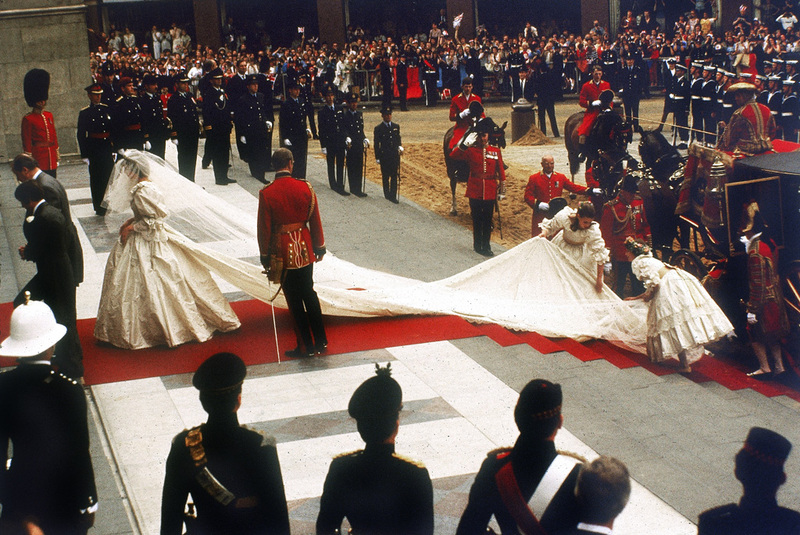 After a modernising drive at Buckingham Palace in 1958, the last debs made their curtsey in March of that year, meaning 2018 marks the 60th anniversary. At Hall Place, the exhibition rooms, painted in soothing and elegant tones of lilac pink, take visitors through the debutantes’ typical first season and introduce us to a few key debs from the past including Baba but also the ravishing Henrietta Tiarks, fabulously wealthy Mary Ashley, sister of Edwina Mountbatten and the rebellious Nancy Cunard. There are some exquisite gowns including a wasp-waisted example from the 1890, a cascading 1920s number and a glamorous strapless gown of mustard satin belonging to Elfrida Eden, one of 1958’s debs. Curator Kirsty Macklen, who showed us around last week told us that Elfrida’s dress was bought from America, in order to avoid the ghastliness of turning up at a party in the same dress as someone else. 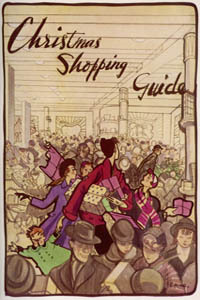 As well as the advertisements, magazine features and portraits lining the walls (50 of which come from Mary Evans, others from the archive at The Lady), there are some fascinating debutante accoutrements such as glove stretchers and papier poudre books (to keep a shiny nose at bay) as well as dance cards lent by Mary Evans and a couple of books from the inter-war period celebrating the debutante from my own collection at home. For the full deb experience, you can try negotiating the complicated array of cutlery that might face an Edwardian lady sitting down to dinner, or squeeze into a ballgown and practise your curtsey to the Queen. After just two weeks, the visitors’ comments at the end of the exhibition reflect a deeply felt nostalgia for this long-gone era, though no appetite for its revival in the 21st century. Like many aspects of history, it is fun to learn more but it should remain exactly where it was left – in 1958. The Great War was an unexpectedly dynamic period for fashion. While extravagance was frowned upon, there was also a social dislocation where for the first time women took the place of men in the work environment, and fashionable silhouettes changed in response. Skirts shortened and widened; military details proliferated and there was a new found confidence in clothing as it moved away from the winsome, restrictive styles of the pre-war era. But austerity in dress did not entirely eclipse luxury and one of the places where fashion fantasies could be played out, and where the leading designers of the day could showcase their creations was the stage. To dress leading actresses in high profile West End productions led to coverage in magazines such as The Tatler and The Sketch, generating the oxygen of publicity and ensuring a stream of well-heeled clients eager to sample such styles themselves. 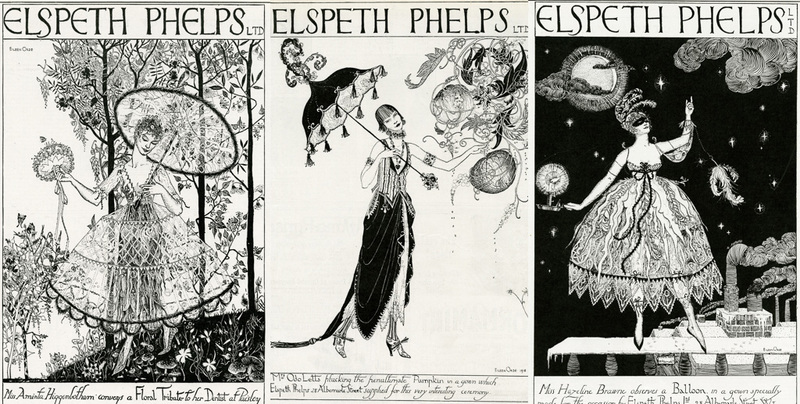 Elspeth Phelps was a designer whose profile was one of the highest during this time and whose designs frequently ended up being admired by theatre audiences, and yet her fame has now faded to obscurity. She first came to my attention when I discovered an extraordinary series of advertisements for her brand published in The Tatler in 1920. They are unlike any other advertisements, fashion or otherwise, appearing at this time. 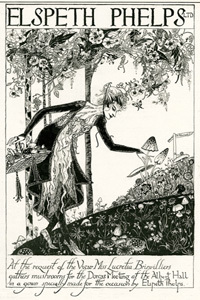 Drawn in a spidery and occasionally sinister style reminiscent of Aubrey Beardsley and Kay Nielson, the adverts feature a parade of fictional aristocratic and society types bearing names such as Lobelia Lobb and Priscilla Brinvilliers. 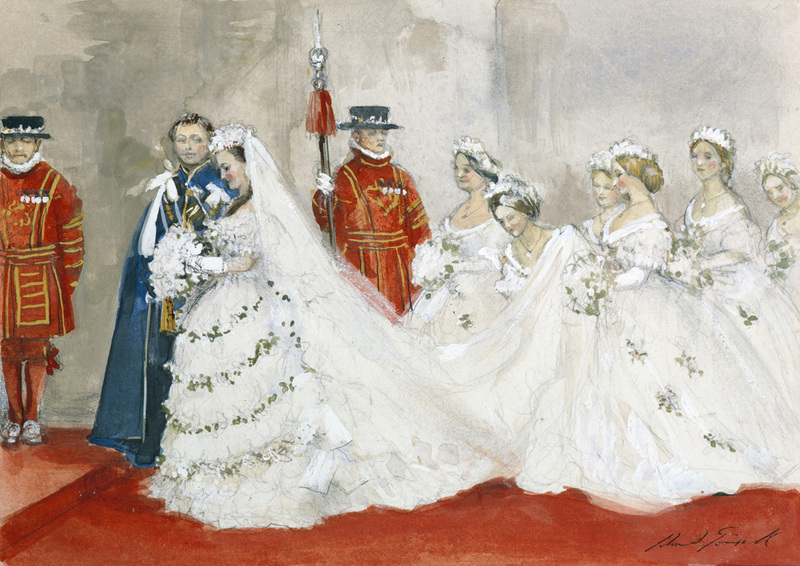 Engaged in typical upper class pursuits, they are clad in the perfectly appropriate ensemble designed by Elspeth Phelps. Apart from their striking design, they are witty, playful, faintly acerbic and surprisingly self-deprecating. They gently poke fun at the advertiser and at the advertiser’s clientele, and they’re all the more brilliant for it. Intrigued by this audacious promotional approach, I wanted to discover more about not only Elspeth Phelps but also the designer of the adverts, Eileen Orde. In fact Eileen Orde was Lady Eileen Orde, nee Wellesley, fourth daughter of the 8th Duke of Wellington and wife of the artist Cuthbert Orde. Eileen’s credentials as one of the leading arbiters of style can be in no doubt. A photographic portrait of her by E. O. Hoppe appeared in British Vogue’s debut issue, the first photograph ever published by the magazine. And her reputation is given a further boost with the knowledge she had an affair with the Adonis-like Rupert Brooke (she afterwards sold his letters and bought a car with the proceeds). Lady Eileen Orde at work on wallpaper designs, 1931. Her creations were escapist fantasies, confections of tulle, chiffon, soie de peau, embellished with lace, sequins, beading – perfectly suited to the pages of the smart, society magazines of the day, and to delight theatre audiences when worn by the prettiest and most popular actresses. Among the women in the public eye who wore her designs were Binnie Hale (in 1920’s ‘The Kiss Call’), the dancer Madame de Kurylo and socialite Paula Gellibrand, pictured in ‘an effective headdress in The Tatler in 1920. The actress Shirley Kellogg was photographed wearing a magnificent ‘diamond dress’, designed for her part in ‘Razzle Dazzle’ in 1916. The following year, Kellogg was dressed by Lucile for the show ‘Zig-Zag’ (one cannot help speculating about the rivalry between these two fashion houses – one suspects it was fierce). 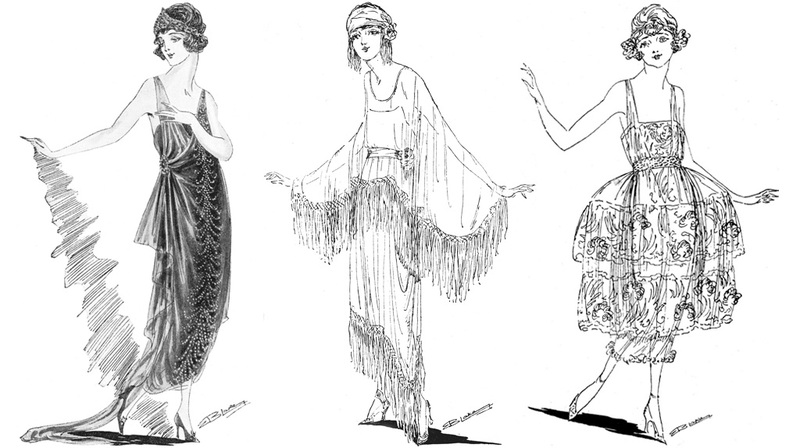 For the ‘Nymphs of the Forest’ tableau performed at the Petticoat Lane Bazaar, a wartime fundraiser held over several days in December 1916 at the Albert Hall, she designed costumes for a selection of society’s most beautiful women including Sheila, Lady Loughborough, a love interest of the future George VI. Another client was Irene Castle, the dancer and unrivalled style icon, for whom Phelps designed her entire wardrobe for a trip back to America. “It is the exception, nowadays, to find the name of Elspeth Phelps absent from a theatrical programme. She seems to be carrying all before her in the theatrical work of dress, as she has for so long done with those of the haute-monde,” wrote Mrs Jack May in 1917, clearly something of a fan. 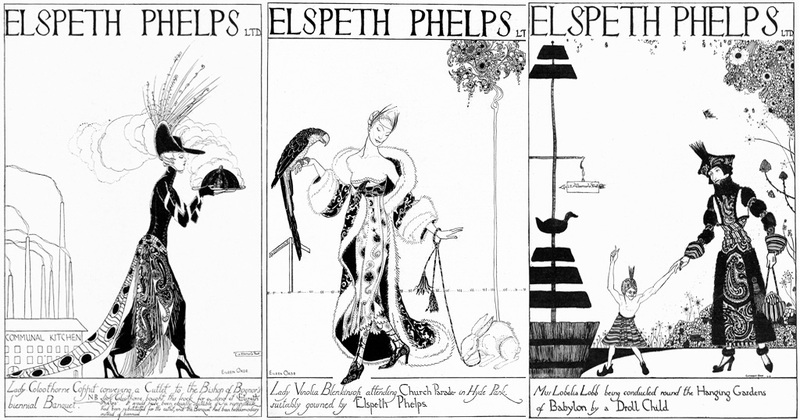 Elspeth Phelps would also have had a prestigious client list, providing wedding dresses, trousseaux for the Season and, every top designer’s bread and butter, court gowns. She was renowned for her ability to take the latest ideas from Paris and to add her own original twists and to tailor them to individual customers. 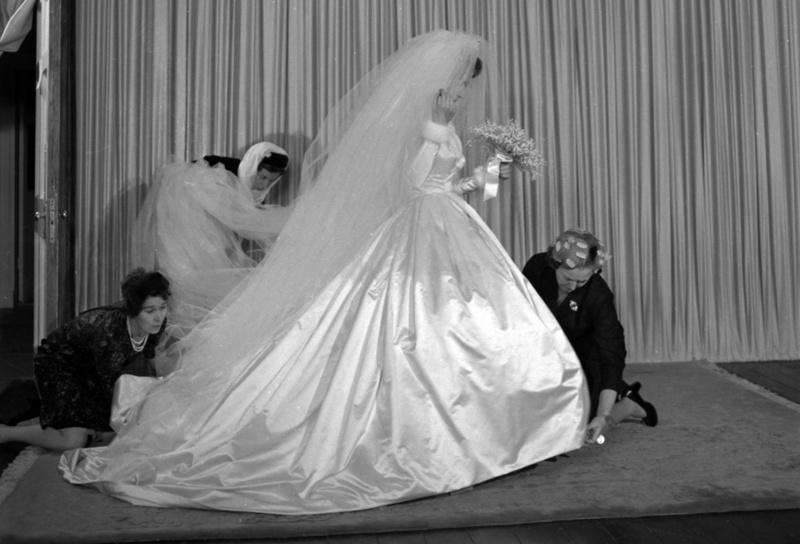 She was not only an assured dressmaker, but she was an adept publicist. 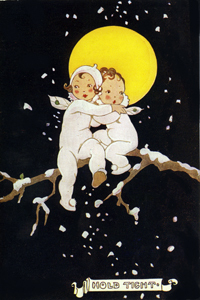 In addition to those extraordinary advertisements created by Eileen Orde, whenever one of her designs was published in the press, the accompanying caption featured her name printed prominently in capital letters. Any misattribution it seems was swiftly dealt with. On more than one occasion, apologies were printed including one in The Tatler which had managed to attribute the stage costumes in ‘Maggie’, playing at the Oxford Theatre in 1919, to Poiret of Paris. “We are informed, however, that they are made by the famous dressmaker, Miss Elspeth Phelps of 29 Albemarle Street. We beg to sincerely apologise to her for giving the credit of these beautiful costumes elsewhere,” the magazine grovelled. It doesn’t take much to imagine Miss Phelps marching into The Tatler’s office and reducing the sub-editor responsible to a gibbering wreck. Certainly, if a portrait of Elspeth, published in The Bystander in 1916, is anything to go by, then her appearance suggests a shrewd, steely and redoubtable personality. Other pieces of evidence hint at her forthright views and pioneering approach. In 1920, The Tatler credited her with being, “instrumental in annihilating the superstition against green,” and in 1925 she spoke out against the worrying trend for increasingly thin models. The Tatler quoted her as saying, “we ought to have some nice, plump girls in the mannequin profession…but no monstrosities”. Not a woman to mince her words then. Ever the canny businesswomen, she set her sights on the American market in 1920, travelling on the Aquitania and touring the major American cities where she gave mannequin shows of her exquisite designs. 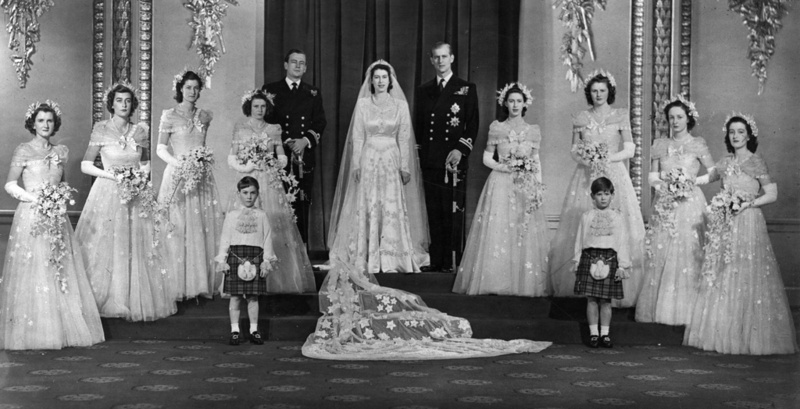 Not until Edward Molyneux shipped British fashion to America during the Second World War did a British designer do as much to woo the wealthy American market. 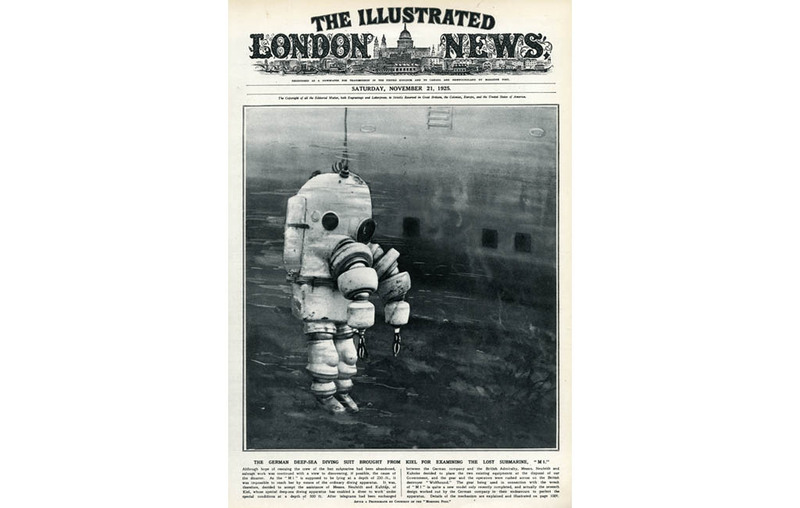 Naturally, news of this expedition was reported widely in the press. Elspeth Phelps featured in The Bystander in 1916. Inset is a photograph of her designer Reggie de Veulle, who was implicated in a scandal in 1918 for supplying drugs allegedly leading to the death of actress Billie Carleton. In 1923, it was announced that Elspeth Phelps, offering ‘original gowns specially designed for each client’ was amalgamating with the famous Parisian fashion house of Paquin. Paquin bought her out, used her name and she was retained on a handsome salary, continuing to design her bespoke gowns for clients. With new showrooms in nearby Dover Street, the Paquin-Phelps partnership launched with a splash, placing new advertisements in the press and holding a ‘soiree dansante’ – the dresses on display described in mouth-watering detail by the papers. Things unfortunately turned sour only a few years later. A rather public court case saw Elspeth Phelps (described as Mrs Fox-Pitt; she had married Lionel Fox-Pitt in 1920) suing Paquin for breach of contract. Meanwhile, Paquin claimed there had been some underhand dealings by Mrs Fox-Pitt who had engaged apprentices for a fee of £50 while pocketing £20 of the money herself. 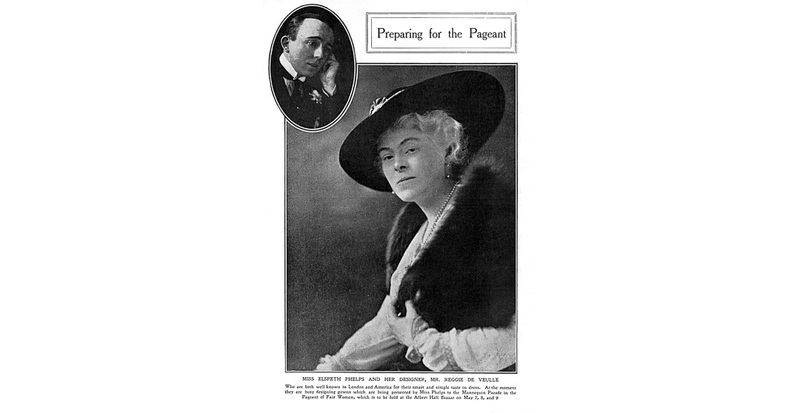 It is significant that, during the course of the hearing, Elspeth Phelps’s argument that her reputation and skill was an asset to Paquin was boosted by the fact she had no fewer than fifty press books full of cuttings. It was undoubted proof of her PR wizardry, even if her business dealings had taken an embarrassingly awkward turn for the worse. The Great War and the 1920s marked the zenith of Elspeth Phelps’s career. She re-launched her business and continued to design into the 1940s, but, as is the caprice of fashion, there is scant mention of her after the late 1920s, at least not in our archive of magazines. There were younger, brighter new stars on the scene – Hartnell, Molyneux, Victor Stiebel – Elspeth Phelps was no longer the fashion pioneer she had been. Lady Eileen Orde died in 1952, aged 65. I like the idea of these two women, these creative forces, joining together almost a century ago to create some advertising magic. It is intriguing to imagine their conversations and to think how such a strategy was dreamt up. Who knows what happened to the original designs but in their absence, I’m ordering one of Eileen Orde’s fantastic advertisements as a framed print, and each time I look at it, I’ll be reminded of two fascinating women and a creative partnership far ahead of its time. With thanks to Randy Bryan Bigham for providing additional source material on Elspeth Phelps. To order prints of Elspeth Phelps advertisements follow this link. Buy a glossy magazine today and you’ll be guaranteed to find at least a third of its pages are given over to advertisements. But this is nothing new. 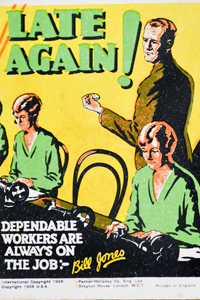 Advertising have kept the wheels of magazine publishing turning for over 150 years. Some titles in the ILN archive, particularly The Tatler, are bulging with hundreds of ads in every issue, and in many cases, they’re just as fascinating as the features and photographs in the main body of the magazine, offering an acute, in-the-moment snapshot of readers’ interests and aspirations. Many of the most successful brands are still going, testament in part to their canny marketing campaigns through the years. One of the beauty brands with remarkable longevity is Pond’s Cold Cream, the origins of which stretch back to the mid-19th century when an American pharmacist, Theron T. Pond developed Pond’s Extract, containing witch hazel, which claimed to act as a panacea against all manner of ailments from haemmorhoids to painful feet. By 1904, the company had created a beauty product, Pond’s Cold Cream, designed to cleanse the skin, and an accompanying Vanishing Cream to soften and ward against the dire effects of cold or hot weather in equal measure. It was a two-step skincare regime that formed a blueprint for skincare systems developed by countless cosmetics companies since. The company would also introduce a ‘freshener’ (toner), vitamin cream and powder to complement their flagship lotions. Pond’s face creams enjoyed a steady success until the 1920s when increased competition from expensive brands launched by Helena Rubinstein and Elizabeth Arden caused Pond’s to re-think its low-key advertising campaign. The solution was to embark on a testimonials campaign that was to rally (with, presumably, substantial cash incentives) the support of firstly stage actresses, and then well-known, wealthy socialite beauties of the 1930s. If economical, fuss-free and effective Pond’s was good enough for the blue blooded ladies of the land it was good enough for anyone. As a marketing premise it was remarkably effective but did not come cheap; Pond’s regularly spent three times as much as Elizabeth Arden on its annual advertising. Every week during the 1930s The Tatler carried an advertisement for Pond’s, with most of the personalities endorsing the creams already familiar faces in the magazine’s society pages. We hold alternative portrait images of many of these women at the library, if not from the ILN archive, then through the pictures taken by society photographer Madame Yevonde whose archive we represent. The accompanying copy is flattering to the point of obsequiousness. Each lady, countess or duchess is lauded for her sportiness, busy lifestyle, her jet setting or exquisite beauty. Their personal anecdotes are laughably old-fashioned as they witter about how Pond’s helped to fix ruddy cheeks after exertion on wind-swept hockey pitches, or helped them achieve a vision of loveliness for their first debutante ball. “If you knew how much American girls long to go to Yale University Dances – or ‘Proms,’ as they call them – you’d realise my excitement at receiving an invitation to the midsummer prom. I’d never been to one before but I knew it was necessary to look your very loveliest if you were to win the approval of critical college boys! I found myself muttering ‘Pond’s, Pond’s, lots and lots of Pond’s’ over and over again. Even more than a smart frock I had to get a smart face! Woe betide anyone who had a bad skin day and ran into Lady Bridgett, who, despite her strident views on cosmetic slovenliness, was hailed by Pond’s as a, ‘brilliant, young favourite in London society…likened to a famous painting by Sir Joshua Reynolds’ (though the advert declined to elaborate further on which particular painting). If Lady Bridgett’s sharp observations, no doubt delivered in a cut-glass accent, are not enough to make us cringe then let me share those of Constance, Lady Moon who, in her Pond’s advertisement, found her creams a godsend while big game hunting in Kenya. Thank goodness Lady Moon’s maid had the foresight to send her mistress off with a secret stash of Pond’s. And thank goodness Lady Moon’s complexion was restored despite all that strenuous elephant slaughtering. 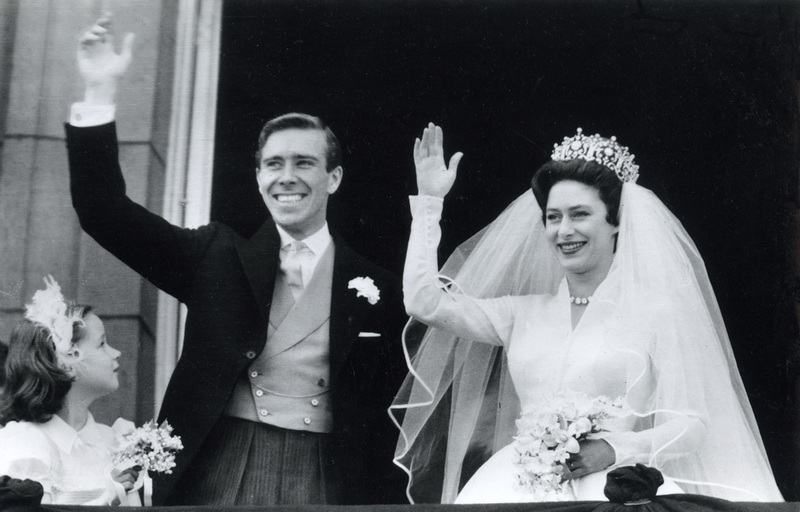 Upper class stereotypes abound, as well as the peddled rule that social advancement, in the form of engagement and marriage, could only be achieved by looking one’s best. 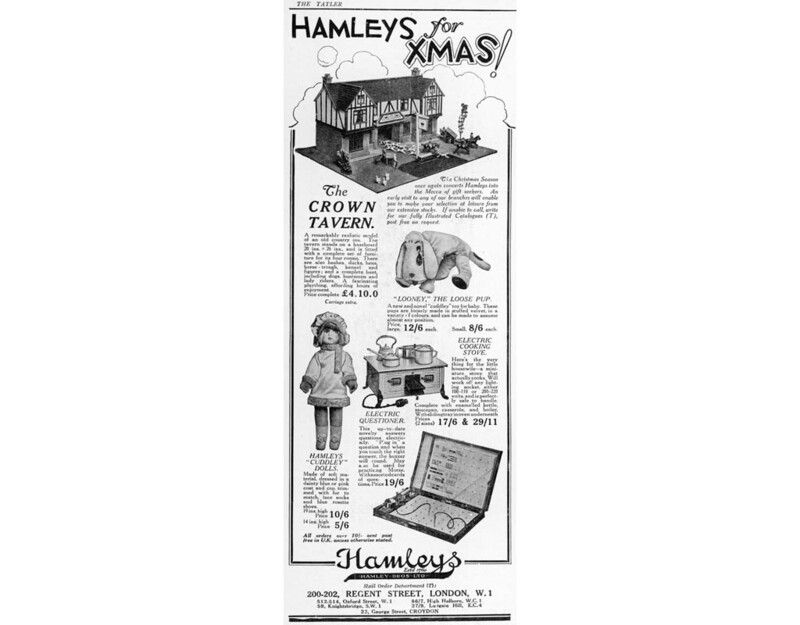 One article in The Tatler around this time instructed women, ‘Beauty is the passport to happiness and all that it signifies, including romance.’ These are adverts that convey despairingly short-sighted ambitions for women of the era, though plenty of beauty adverts of recent times might be accused of the same. But what is particularly intriguing is that many of the privileged women behind these endorsements led fascinating lives, often a far cry from the polish and poise projected in Pond’s advertising. 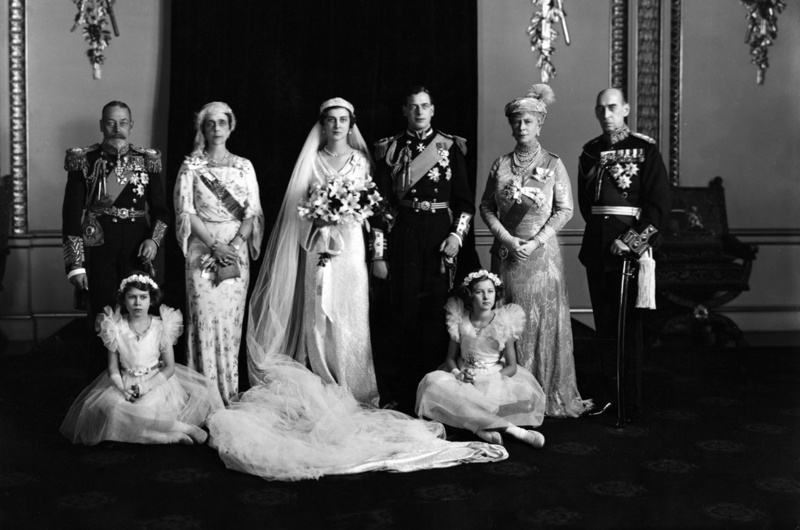 Another Pond’s Cream girl who did marry her Prince was Princess Marina of Greece (‘seen at the smartest functions in London’), who posed with her sister Elizabeth for a 1933 advertisement. A year and a half later, Pond’s had worked its magic. 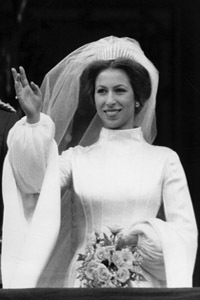 She walked down the aisle of Westminster Abbey with Prince George, Duke of Kent, younger brother of David and Bertie. 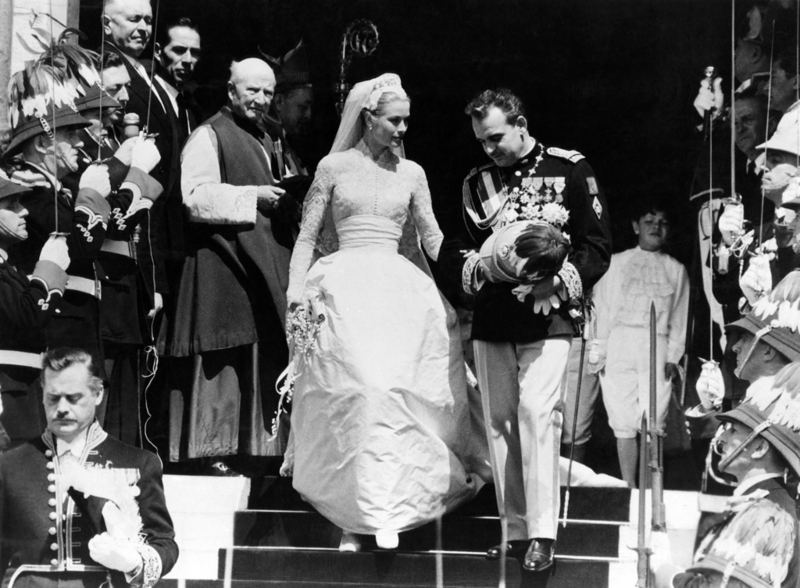 George was killed in a plane crash in Scotland during the Second World War aged 42 when their youngest child, the present Prince Michael of Kent, was just a few weeks old. Marina never remarried. 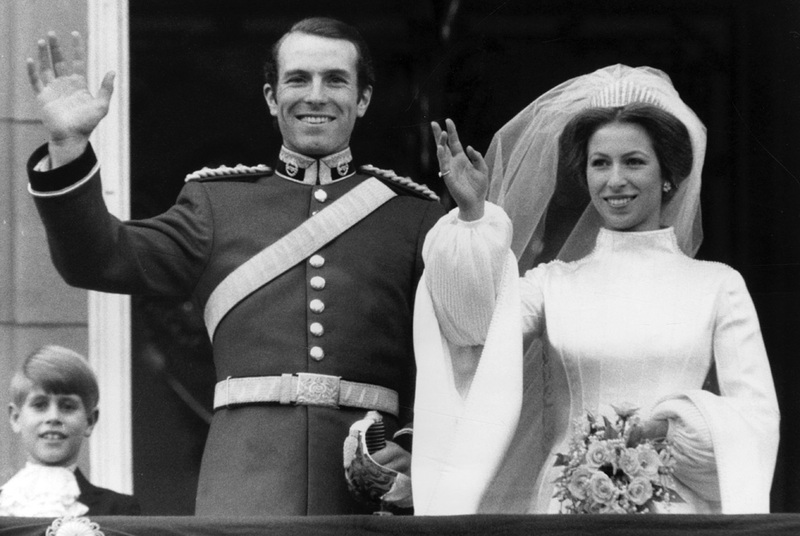 Her eldest son is the present Duke of Kent. Rose Bingham was hailed as one of the prettiest debutantes of 1931 an accolade which, in this case, was probably true. With Bambi eyes and rosebud lips, Rose was a media darling, frequently photographed for the society pages. Not only was she a Pond’s girl, but she also appeared in a full page advert for the prestigious Hotel George V in Paris declaring she stayed there because ‘only the best’ would do. 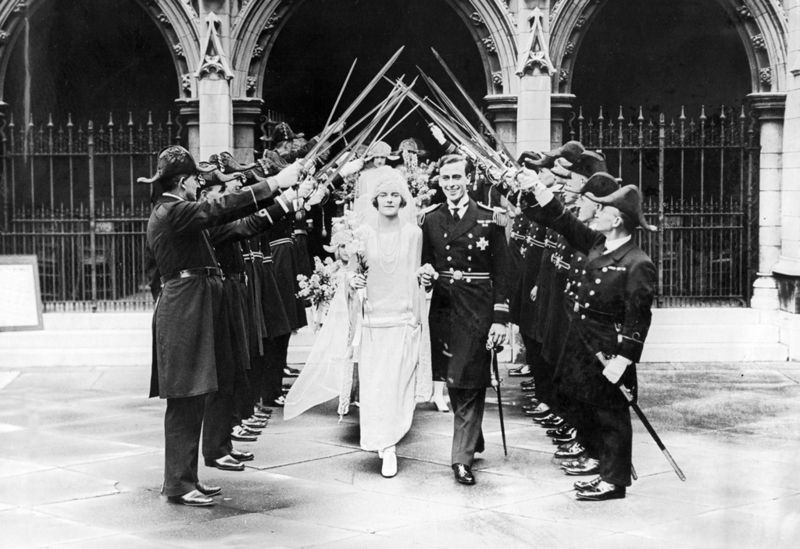 Hollywood came calling and she dabbled in film acting, appearing in ‘The Black Sheep’ in 1935 but not before she had married the 7th Earl of Warwick in 1933. He too was a keen actor and the couple erected a cinema screen on the roof of Warwick Castle where society mingled with the Hollywood set. If Rose had been alive today, L’Oréal would definitely have her whispering, “Because I’m worth it,” from our TV screens. Rose and Fulke Warwick divorced; she lost custody of their son and in 1938 married Billy Fiske, an American bobsled Olympic champion instrumental in developing Aspen as a winter sports resort. The pair were introduced to each other by David Niven who had starred alongside Rose’s ex-husband Fulke in Paramount picture, ‘The Dawn Patrol’. The couple’s marriage was happy but tragically short-lived. A speed freak with lightning reactions, Billy Fiske’s abilities made him a perfect fighter pilot and he became one of just seven US aircrew personnel who fought in the Battle of Britain. On 16 August 1940, Fiske’s RAF squadron was scrambled to intercept German dive bombers over southern England. After fifteen minutes in the air, the fuel tank of Fiske’s Hurricane was hit by a German bullet. Despite suffering severe burns he managed to land his plane but died in hospital two days later aged 29. Rose married twice more; to Lt. Col. Sir John Lawson in 1945, and, after divorcing him five years later, to Theodore Sheldon Bassett in 1951. That marriage also ended in divorce. She died in 1971 aged 59. Lady Alington, the former Lady Mary Ashley-Cooper, eldest daughter of the Earl of Salisbury, was the essence of the classic upper crust gal. Tall and sturdily built she was hailed as, ‘the best swimmer in London’ according to The Times, winning numerous prizes at the prestigious Bath Club in London. Indeed, we have several examples in our archive of her swimming prowess including one page featuring her playing a part in a Royal Life Saving Society film featuring a number of well-known society women. According to a profile in The Bystander in 1936, part of a series entitled, ‘Popular Women,’ she was ‘striking in appearance…keen on hunting and racing and an exponent of physical culture that she particularly excels.’ She was also a ‘splendid hostess’ who really knew how to throw a party. ‘Hula’ as she was known to her friends, married Napier Alington, the 3rd Baron, in 1928. They had one daughter, Marianna (Mary Anna Sturt Marten 1929-2010), but just a few years later the couple had separated. Napier Alington presented a respectable façade in public, running as a candidate for Parliament, but in private was bisexual, indulged in drugs and had a love affair with Tallulah Bankhead which may or may not have ended by the time of his marriage to Mary. In any case, the outdoorsy, head girl-like Lady Alington and the louche Napier seemed rather mis-matched. Lady Alington appeared in a 1931 Pond’s Cold Cream advert (found in a copy of Miss Modern magazine here). In April 1936, she was featured in The Bystander in a stunning Vivex colour photograph by Madame Yevonde, but just four months later, Lady Alington – fit-as-a-fiddle, swimming supremo, Amazonian Lady Alington – underwent an operation for acute appendicitis and, to the shock of everyone, died. She was just 34 years old. Napier was killed four years later on active service with the RAF. Beauty, wealth, privilege – and Pond’s Cold Cream. None of it, it seems, could protect from the tragic hand of fate.